Condair offers a wide range of adiabatic humidifiers for just about any application big or small. AF-22 Compressed Air Humidifier | These adiabatic humidifiers are robust, simple to install, operate and maintain. The AF-22 is ideal to reduce dust, static electricity discharge and ensure pitch perfect humidity levels for all your application needs. 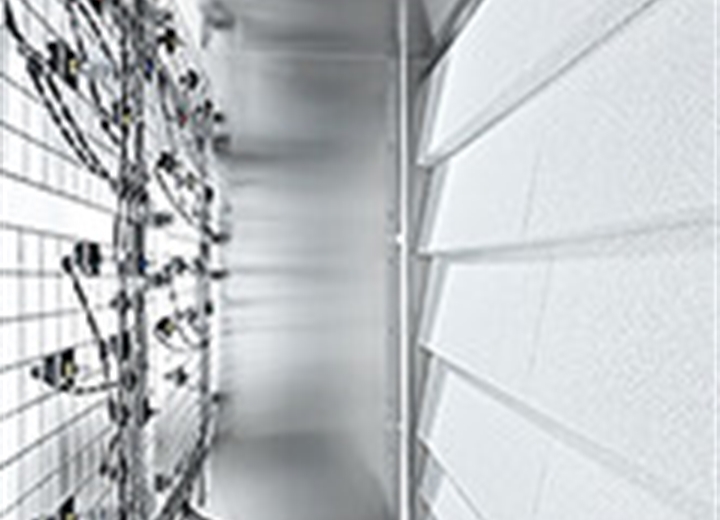 If you’ve got a low ceiling, retrofit application or if you require an efficient all-around system for an industrial application, look no further than the AF-22 by Condair. 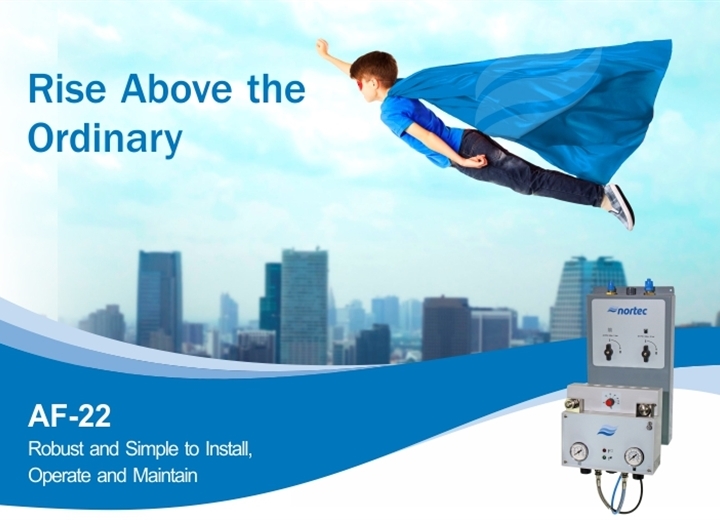 The AF-22 can deliver up to 22 lbs/hr of humidification to a desired space. Simple, no big bulky humidifiers and the option to use softened water or reverse osmosis treated water makes this humidifier your guaranteed choice for direct room in-space success. ME Series Evaporative Humidifier | The Condair ME humidifier is the ultimate low-energy humidity control asset and the world’s number one evaporative humidification system. 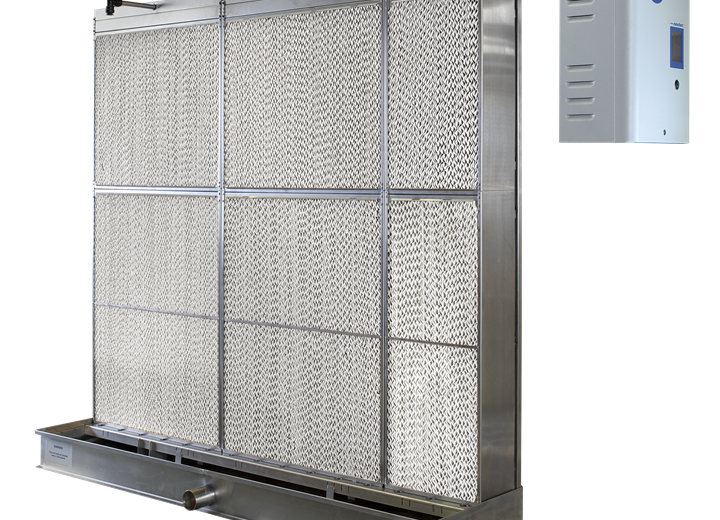 This powerhouse can produce up to 2204 lbs/hr (1,000 kg/hr) of humidification and 630kW of evaporative cooling through just one single unit while running on not more than 0.3kW of electricity. Not only is the Condair ME Series economic to use and effortless to maintain, these adiabatic humidifiers also a customer favorite because of its industry-transforming service functions, which include the latest in hygiene technology. DL Series Hybrid Humidifier | The DL Series from our family of adiabatic humidifiers relies exclusively on the advantages of both humidification methods of atomization and evaporation. This results in the sustainable resolution of key problems which can emerge when these technologies are used in isolation. The humidification system is therefore the first choice in terms of hygiene, energy efficiency and cost effectiveness. The patented evaporator unit made of premium ceramic is placed at the end of the humidification distance. It captures the humidifying water and carries out the best possible re-evaporation. The ceramic thus allows the maximum utilization of the valuable humidifying water. At the same time, it prevents water accumulation in downstream components. Behind the DL humidifier, there is aerosol-free and hygienically humidified breathable air.